An anniversary or proposal is a milestone and should be celebrated in the best way to make a long lasting impression. So why not try something new in the way of celebrating your anniversary? We are amongst the finest limousine Montreal service rental providers in the city of Montreal. Our romantic limo rental packages can include champagne and special services that will give you that special evening whether it be n anniversary or a proposal. Celebrate in Style. Celebrate that special moment in one of our beautiful lavish limos and let us take you to your special planned evening as VIP in the limo of your style. We have the most experienced drivers to make this event a night to remember. Most luxurious rides. Our limos and services are raved about and best in the industry. Traveling with your loved one and presenting him/her with a toast during the journey along with the atmosphere that is created inside our limos will make this evening magical and create unforgettable moments. VIP Treatment. Descend like royalty from a luxury limo and get a red carpet experience while one of our chauffeurs open the door with an elegant gesture is an emotion that remains in your heart forever. Our elegant limo service are perfect for those who want a luxury service on their anniversaries, and the courtesy and professionalism of our impeccably dressed drivers make it even more special. Magical Experience. 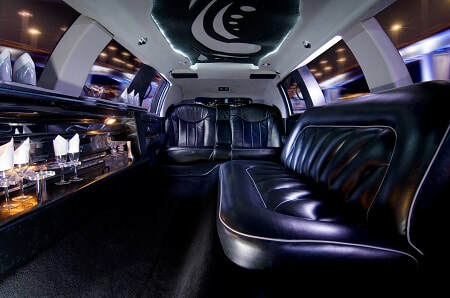 Experience the thrill of spending unforgettable moments in our luxury limousine Montreal selections, that are suitable for a fabulous anniversary and exclusive for all various occasions. Our limos are equipped with all the comforts with the opportunity to enjoy a delicious glass of champagne to toast in the company of your love ones. With our large selection of luxury limousines, you will get a refined atmosphere and you can be sure that you will make such a special evening magical and attract the attention of the person you most desire. We accept last minute reservations and are available 24/7 to help serve you and answer your questions.